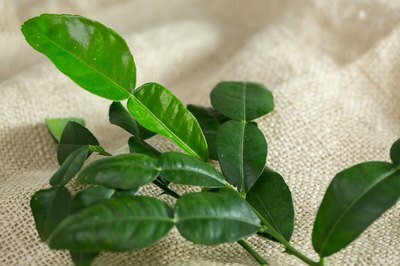 Kaffir lime, a citrus fruit frequently used in Asian cuisine, is not the same as a traditional lime. The limes are small and have a dark green, bumpy rind. The leaves and peels are fragrant and used in flavoring dishes. The fruit itself is bitter, acidic and considered inedible, although it is not dangerous in any way. Stored improperly, the leaves can go bad quickly, and dried leaves tend to have less flavor. Freezing the leaves works well. 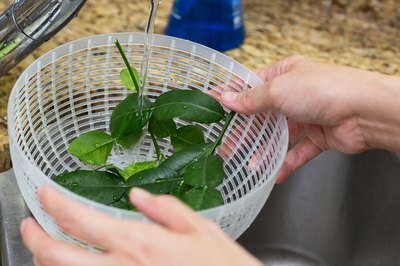 Rinse the kaffir leaves off well in a colander. 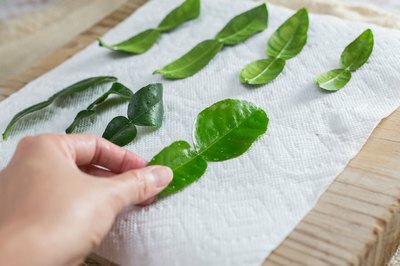 Place the wet leaves on a clean paper or linen towel and pat them dry. They must be completely dry before freezing. 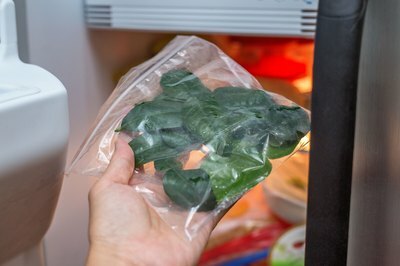 Put the dry leaves in an airtight freezer-safe container, like a storage bag or small plastic container. 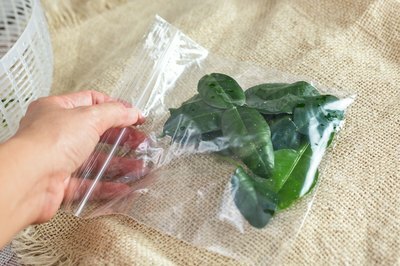 If you are packaging them in a freezer bag, squeeze as much air out of the bag as possible before sealing. Seal the container completely and place it in the freezer. The leaves will stay flavorful for up to a year.